PT1: The most important argument for the compatibility of moral realism (Jackson’s argument) fails. PT2: Given the reasons for the failure of Jackson’s argument, it is unlikely that any defence of the compatibility of naturalism and moral realism could succeed. RT1: Jackson’s argument can be repaired so that it avoids the failure condition highlighted by Plantinga. RT2: There are other ways of arguing for the compatibility of naturalism and moral realism that completely avoid Plantinga’s criticism. The goal of this series of blog posts is to analyse the debate between Peels and Plantinga. I start today by looking at Plantinga’s side of it. I should say at the outset that, although I read Plantinga’s paper when it came out a couple of years ago, this particular presentation of his argument is filtered through the lens of Peels’s summary. There's a lot more in Plantinga's paper beyond this particular argument, as I recall. To fully understand Plantinga’s argument we need to be clear about what we mean by “naturalism” and “moral realism”. Sometimes philosophers have a pretty ‘thick’ sense of what naturalism means, often equating it with a kind of scientific reductivism or physicalism. Plantinga doesn’t understand it like that. He defines naturalism as the view that neither God nor anything like God exists. In other words, he defines it in opposition to theistic and other supernaturalistic views. I like this minimalistic approach as it means one can still be a naturalist and accept the existence of certain non-reducible, non-physicalistic entities (e.g. numbers or abstract properties). Moral realism then has two aspects to it. First, it is the view that moral propositions are capable of bearing a truth value, i.e. it makes sense to say that propositions of the sort “X is wrong” or “X is good” are true or false (and not mere matters of opinion). Second, it is the view that moral facts are mind independent, i.e. that the truth or falsity of propositions like “X is wrong” or “X is good” is not dependent on the beliefs or desires of any particular individual or group. I should clarify that this does not mean that moral propositions can never be defined by reference to mental states. The capacity to suffer or to feel pleasure could be essential to the truth or falsity of particular moral claims. It’s just that the truth or falsity of those propositions holds irrespective of the opinions of others. Standard Compatibility Proof: For any pair of propositions p and q, if you can show that there is at least one possible world in which both p and q are true, then you have proven the compatibility of p and q. You might think that this sets the bar pretty low for any purported defence of the compatibility of naturalism and moral realism. After all, it’s pretty easy to imagine possible worlds with all sorts of strange combinations of truths. “Not so” says Plantinga. Given our definition of naturalism, and given certain orthodox conceptions of God, the bar has actually been set quite high. The problem is this: According to the Anselmian definition, God is a metaphysically necessary being. If He exists at all, then He must exist necessarily. Hence, if He exists, there can be no possible world in which He fails to exist. But the compatibility of naturalism and moral realism demands that at least one such possible world exists. And so this implies that any successful defence of the compatibility of those two theses would also have to be a successful proof of the non-existence of God. Plantinga thinks that this is unlikely. (1) God, if he exists at all, is a metaphysically necessary being: He cannot fail to exist in any possible world. (2) Naturalism is the view that neither God, nor anything like God exists. (3) Any successful proof of the compatibility of naturalism and moral realism must show that there is at least one possible world in which both theories are true. (4) Therefore, any successful proof of the compatibility of naturalism and moral realism must show that there is at least one possible world in which God does not exist (from 2 and 3). One can see where Plantinga is going with this: it is, indeed, unlikely that any successful proof of compatibility could also convince us of the non-existence of God. But, at the same time, this methodological point seems dangerous. For one could easily flip it on its head. If you think there is at least one possible world in which moral realism is true and God does not exist, then you would have to disclaim the Anselmian view. This seems to imply that someone like Richard Swinburne (who accepts that certain moral truths do not rely on the existence of God) is not a theist. Surely that is an equally bizarre result? Leaving that general point to one side, we turn to Plantinga’s critique of Jackson’s attempted compatibility proof. Jackson’s naturalistic moral theory is complex, but his compatibility proof is pretty simple. He tries to show that there are some necessary moral truths (i.e. moral propositions that could not fail to be true) that can be cashed out in terms of purely naturalistic properties. That is to say, he tries to show that the moral properties in certain moral propositions hold solely in virtue of the exemplification of certain naturalistic properties. Some examples might be in order. Take a proposition like “taking another person’s private property without consent is morally wrong”. This proposition is (plausibly) necessarily true. It also looks like the moral property contained in the proposition (the “wrongness” of the act) is wholly dependent upon the exemplification of certain natural properties (like “property” “absence of consent” and “taking”). Another example would be the proposition “torturing innocent children for fun is wrong”. This is also (plausibly) necessarily true, and the wrongness of the act depends upon the exemplification of natural properties like “childhood”, “innocence”, “extreme pain” and “funniness”. Jackson’s point is a familiar one. He is claiming that in some cases, moral properties like “wrongness” strongly supervene on natural properties: changes in the former always entail changes in the latter. Or, to put it yet another way, moral properties are necessarily co-exemplified with certain natural properties. But how does that give us a compatibility proof? Simple: it shows us that everything that is needed in order for a certain moral proposition to be true, can exist, without referring to, entailing or requiring the existence of God. So, in other words, everything that accounts for the wrongness of torturing innocent children is accounted for by the natural properties exemplified in an act of torturing innocent children. We have no need of the God hypothesis. Consequently, there are possible worlds in which moral propositions are true and in which God does not exist. Sparse View: Moral properties and natural properties are identical, i.e. moral properties simply reduce to natural properties. Abdunant View: Moral properties and natural properties are necessarily co-exemplified, but not necessarily one and the same thing (ontologically speaking). So one need not be a reductivist in order to embrace Jackson’s argument. Jackson’s Principle: If (some) natural properties and moral properties are necessarily co-exemplified, then naturalism and moral realism are compatible. This principle is false. As Plantinga sees it, the necessary co-exemplification of natural and moral properties does not entail the compatibility of naturalism and moral realism. This is because there could be a third factor (namely: God) which explains why those properties are necessarily co-exemplified. Take the divine command theory of morality. According to this theory, X is right or wrong solely in virtue of whether it is approved by God. Plantinga argues that God’s approval may always be tied to the exemplification of certain natural properties. Hence, necessary co-exemplification could arise without it following that God does not exist. To use an example, it could be that the injunction against torturing innocent children for fun is dependent on God’s disapproval and that God disapproves of the act because it exemplifies certain natural properties. Thus it could be, for all we know, that the necessary co-exemplification of natural and moral properties is explained by God’s commands. 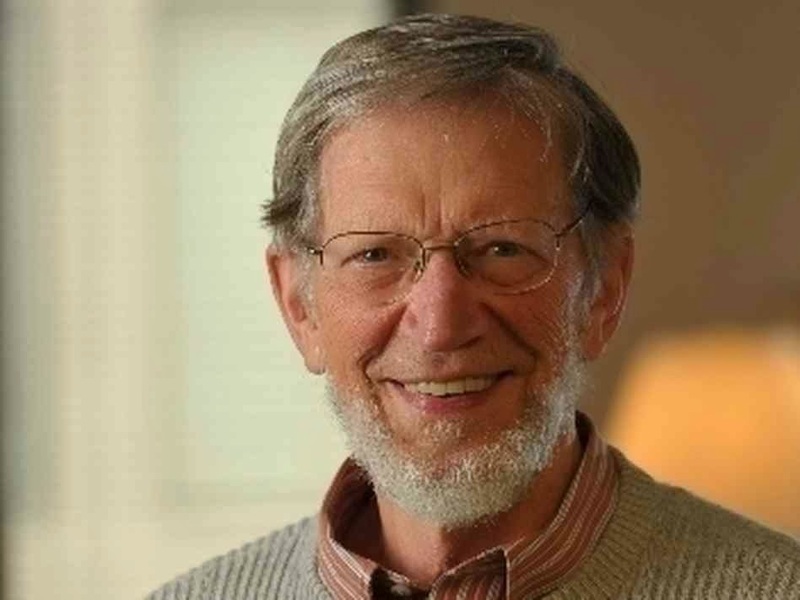 Plantinga’s point is made: necessary co-exemplification does not entail compatibility. (This raises all sorts of Euthyphro-style questions, which, unfortunately, we’ll have to set aside for the time being). That gives us a defence of PT1. What about PT2? It doesn’t take too much work to get there as well. All we have to do is point out that any purported defence of the compatibility of naturalism and moral realism (i.e. any attempt to identify a possible world in which both doctrines are true) is vulnerable to this “hidden third factor”-style of explanation. That hidden third factor could always be God. Okay, that brings us to the end of part one. As we have seen, Plantinga thinks that it is very difficult to prove the compatibility of naturalism and theism, and that the best current attempt (Jackson’s) clearly fails for reasons that are likely to apply to all other attempted compatibility proofs. In part two, we’ll look at Rik Peels’s response to Plantinga.